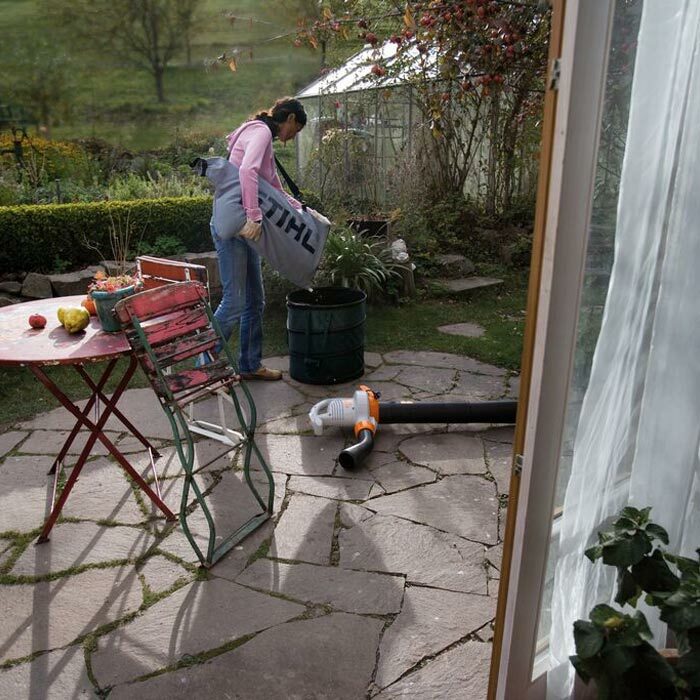 The STIHL SHE 71 gives you the ability to tackle a wide range of garden cleaning tasks. It offers the quiet operation and light weight you would expect of an electric machine, along with excellent performance. As an electric machine, the SHE 71 is lightweight compared to petrol alternatives. It weighs just 4.1kg (excluding the power cable), allowing you to work for longer without getting tired. It has a quiet operating noise, which makes it makes it a pleasure to use in any environment, for the user and the surrounding people. The main advantage of the SHE 71 is its adaptability, being easily convertible it from a blower into a vacuum shredder. 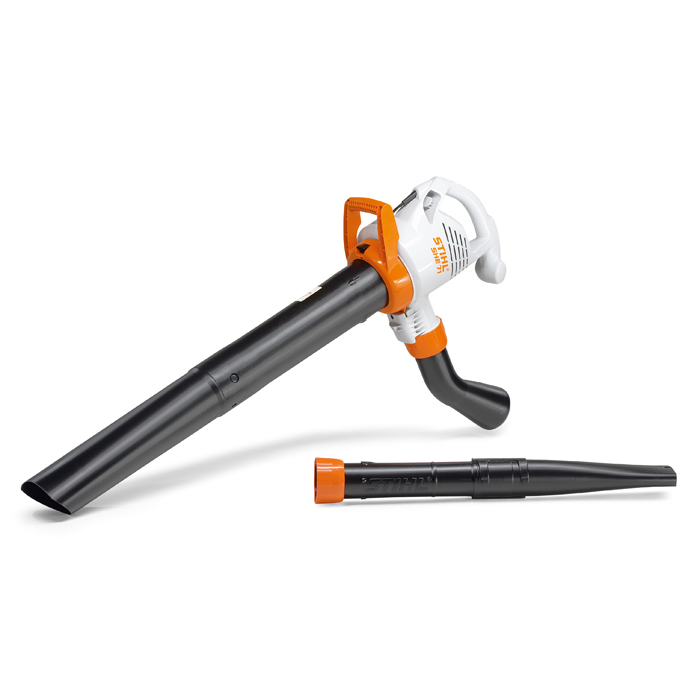 Once the Vac-Kit is attached, the turbo wheel shreds dry leaves to a 12th of their original volume, while the 45 litre catcher bag serves as an effective dust filter. You can easily empty it, using the bottom zip. While working in this mode, you can tackle debris in even the smallest cracks to leave an immaculate finish to your garden. Integrated cable strain relief - The cable strain relief prevents the power cable from becoming accidentally disconnected. Vacuum bag - 45 litre textile catcher bag for use in the vacuum function also serves as an effective dust filter. Emptying is performed easily using the bottom zip.